Two posts in one day?? Say whaaa! Don't get too excited. I just had to share a shirt site with ya. 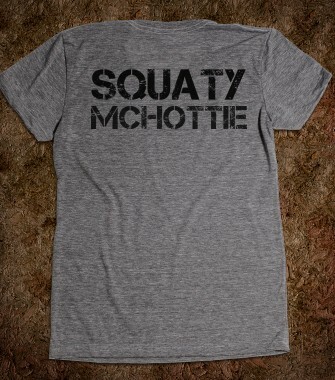 My friends Lora had me working on a "search mission" this morning and I found what may be my new favorite Tshirt site. You must check these out at Skreened. Has anyone ever ordered from here before? Of course, not all of them are workout related. There are some pretty great other shirts. These just caught my attention first. Now it's your turn. Share with me some of your favorite Tshirts or tanks. 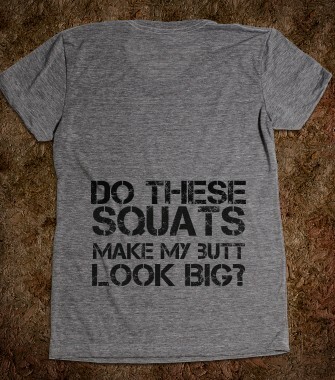 I'm looking for some new cute ones for the gym. Gotta get on that for next week if I'm going to start this.